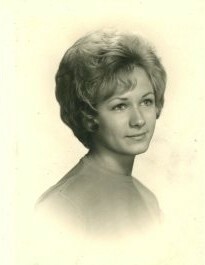 Betty Marie (Lund) Tuin age 73 of Hibbing passed away Saturday, April 13, 2019 at The Emeralds in Grand Rapids, MN. Betty was born September 18, 1945 to Fred and Gladys (Palm) Lund in Roseau, MN. She moved to Hibbing when she was 8 years old and graduated from Hibbing High School in 1963. Betty was a member of the Kelly Lake Methodist Church before its closure. A self-employed beautician by trade, Betty always had lots of fun with her clients. Betty’s favorite place to be was the family cabin on Swan Lake lounging on her air mattress. Betty is survived by her husband of 49 years Thomas Tuin of Hibbing, MN, children, Larry (Sandy) Tuin of Hibbing , MN, Brian (Jaci) Tuin of Hastings, MN, Gary (Jessie) Tuin of Hastings, MN, Tammy (Bob) Lehto of Balken, MN, grandchildren, Tore, Faith, Garrett, Scotty, Layla, Evelyn, sister, Lois (Tom) Burton of Mesa, AZ, and mother-in-law, Rose Tuin. Betty was preceded in death by her parents, Fred and Gladys and her brother, LeRoy. Memorial service will be held 1:00 pm Friday, April 19 at Dougherty Funeral Home in Hibbing. Visitation will be held one hour prior to the service at the funeral home. The Reverend Kevin Olson will officiate. Betty’s family would like to thank the staff at The Emeralds for their help and support through this time.